Every voice counts. Sign up and stay connected about conservation issues with CWF. Get your free PDF and learn eight ways you can reduce your single-use plastics today. Yes, I would like to receive e-mail from Canadian Wildlife Federation. Thank you for taking major steps to protect marine wildlife in Canadian waters through the Oceans Protection Plan. We appreciate your commitment to achieving Canada’s national and international marine conservation targets. These actions will go a long way to protecting our whales, sea turtles, and sea lions, some of which are already endangered. However, in our work as one of Canada’s leading conservation organizations, a major issue we frequently see is the impact of plastic pollution on our oceans and freshwaters. Plastic pollution in Canadian waters harms and sometimes kills aquatic wildlife when they consume it or get entangled in it. We need the federal government to continue to show leadership on reducing Canada’s plastic footprint by drastically reducing our reliance on single-use packaging. We urge the federal government to make Canada an international leader yet again in reducing plastic waste in our rivers, lakes, and oceans by recommitting to and advancing the national Sustainable Packaging initiative set out in 2012 to further move Canada away from single-use plastics. We’d like to share a short story about a very small school (approx. 200 students) in Nova Scotia that has taken our initiative of reducing single use plastic to heart. They’ve reached out to their community to get 1,000 petitions signed and back to us by October 31. And they did it!!!! 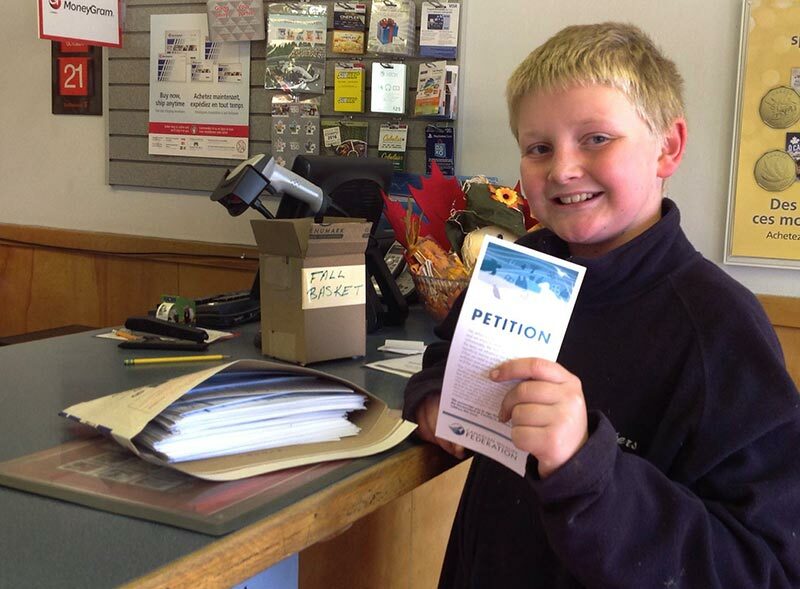 This young grade five student, Alex Poplar, was able to get 60 petitions signed on his own. Maybe a future CWF conservationist? We are so inspired by this school's participation. It gives us great confidence in our next generation. It looks like they want to #conservethewonder. Over 260 species of wildlife have ingested or become entangled in plastic, resulting in impaired movement and feeding, reduced productive output, lacerations, ulcers and death.